Growing Tired OfHigh Registration Fees? SAVE MONEY& Grow Your Program! No Out-of-Pocket Costs What's that? Unbelievable? Believe it. The Elite payment system doesn't cost you a cent, as all costs are passed to the customer. Customer-Centric Checkout Through intensive market research, Elite has designed the checkout system to be as easy and accommodating as possible, leading to increased registrations. Conversion-Optimized Design Because marketing is our forte, Elite design elements naturally push customers to complete a registration. 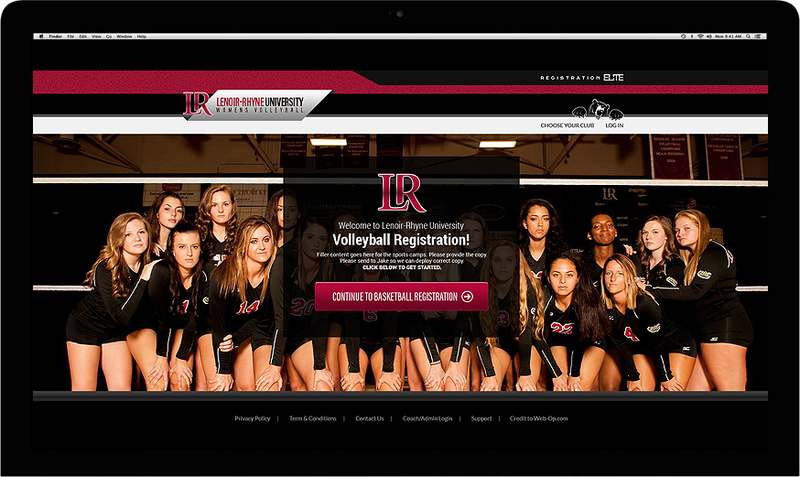 Increases Traffic to Programs Registration Elite's internal marketing systems ensure you're pushed to the top of search engines, making you visible. Stress-Free Camp Management Our administration panel allows coaches and school administrators easy, tiered management of camps to keep even the most strict of programs happy. So you're involved with athletic programs. In that case, I'm sure you're intimately familiar with the hassle that can be running camps and clinics. While they can be rewarding, they definitely take a significant amount of effort, finesse, and care to successfully run, especially if you want folks excited about the next camp. 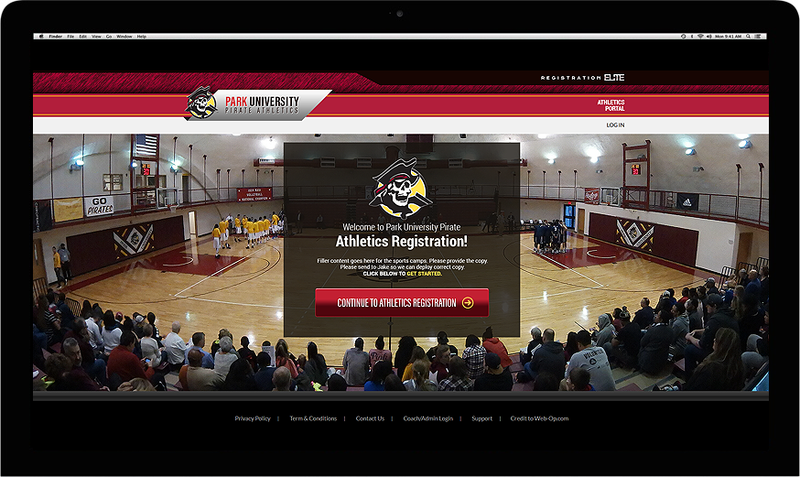 Schools and coaches use software to facilitate running their camps, but often times run into problems like dated design, clunky functionality, or even contractual obligations to pay fees and subscriptions. This can hurt coaches and athletic programs directly, dipping into their profits or worse, driving registrations away from themselves. Good news, we're here to help. 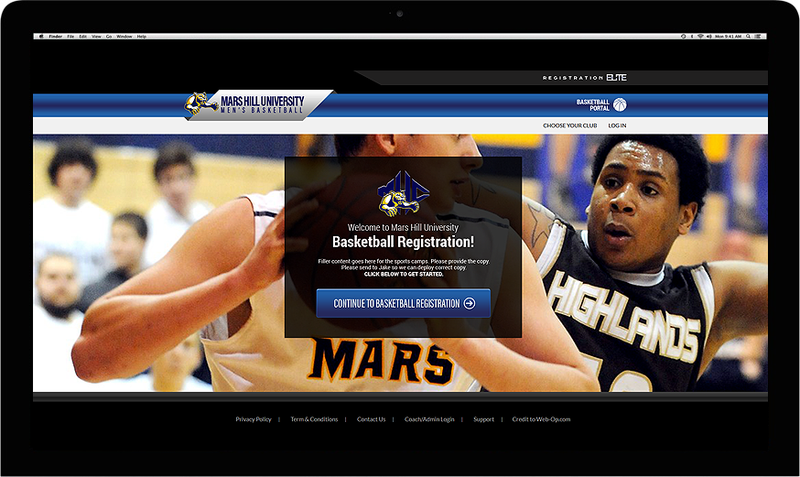 Look no further than Registration Elite. We're YOUR premier camp registration provider, and we're here to bring your camps into the modern world. With stunning design, modern layouts, and an expert team of developers and support staff behind the wheel, Registration Elite has you covered. 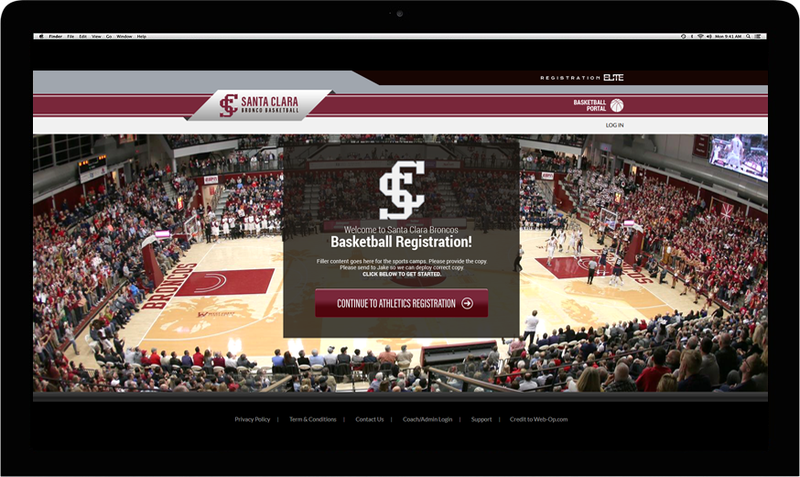 We're constantly updating, refining, and streamlining the process, leading directly to more registrations for you. The best part about it? We don't cost you a CENT out of pocket, with no setup fees, no recurring charges, and no hassle. So go ahead. Give us a call. Shoot us an email. We're ready to talk to you about making sure your programs are the most "Elite" they can possibly be. Your Program Needs And Abilities To Custom Fit Your Organization. Registration Elite™ is backed by a renowned internet marketing company. This means programs using the elite platform will experience the benefits of marketers who are experienced in excelling. 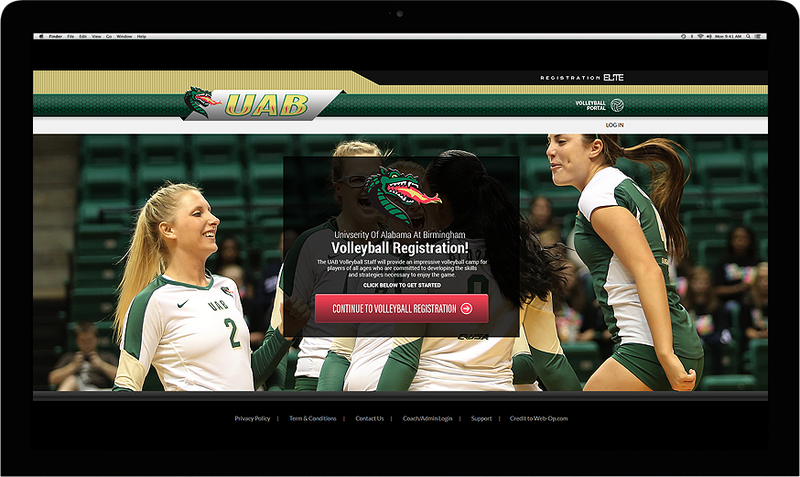 Registration Elite™ features partnering programs on their custom camp aggregator. This aggregator drives traffic to programs and helps increase program awareness and participation. Programs that choose not to use the Elite platform will be at a severe disadvantage to those that do. 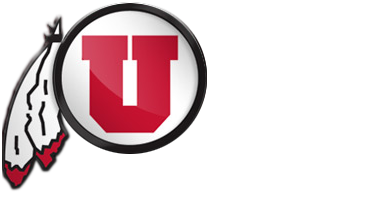 We work with University sports camps, independent camps, school affiliates and activity programs from all over the country. Our system helps you automate your rosters, send bulk emails to campers, and receive weekly deposits of camp proceeds right into your bank account. How Does Registration Elite Increase Registrations? Search engines like Google, Bing and Yahoo all place high importance in their algorithms on authentic sites linking from authoritative sites. The Registration Elite™ foundation was built to take advantage of our unique SEO (Search Engine Optimization) situation. Registration Elite™ and our partner programs link out to the registrationelite.com URL. 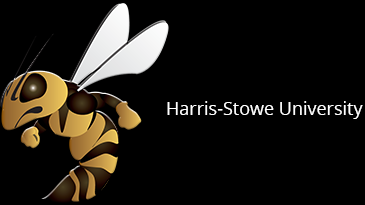 These program sites are located at powerful .EDU and .COM domains. They are given high authoritative link value in most search engines. Registration Elite™ receives hundreds of links per program which provides tremendous SEO benefits to RegistrationElite.com and in-turn your program. 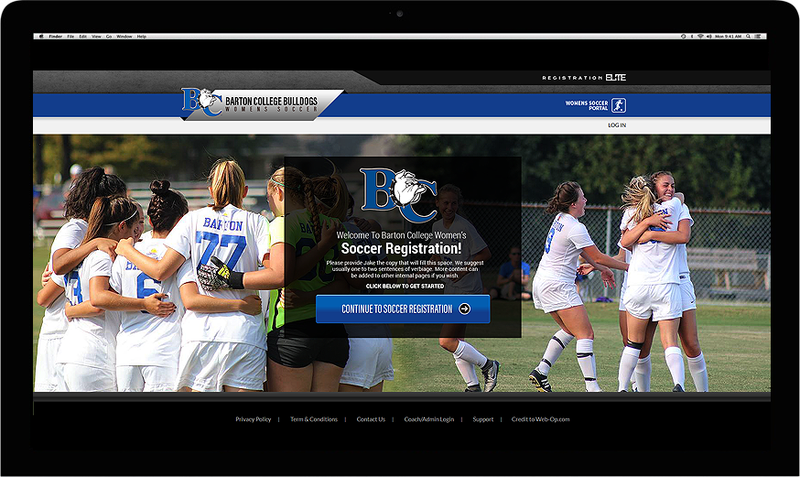 Provide our Elite Design Team with the needed assets of logos and action shots, and we will design an interactive, user friendly experience for your camps and programs. Free Customization to Fit Your Organization's Needs. Unbeatable Pricing, No Hidden Fees & Zero Out of Pocket Costs. Free Marketing Exposure on & by Registration Elite™ Website. Free Support Staff For All Your Needs. Access to Industry-Leading Marketing Tools. 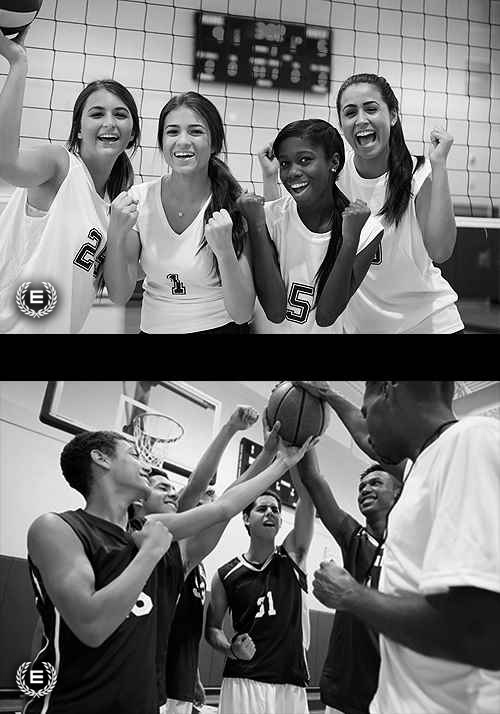 Registration Elite™ develops custom solutions to build the value of sports organizations. 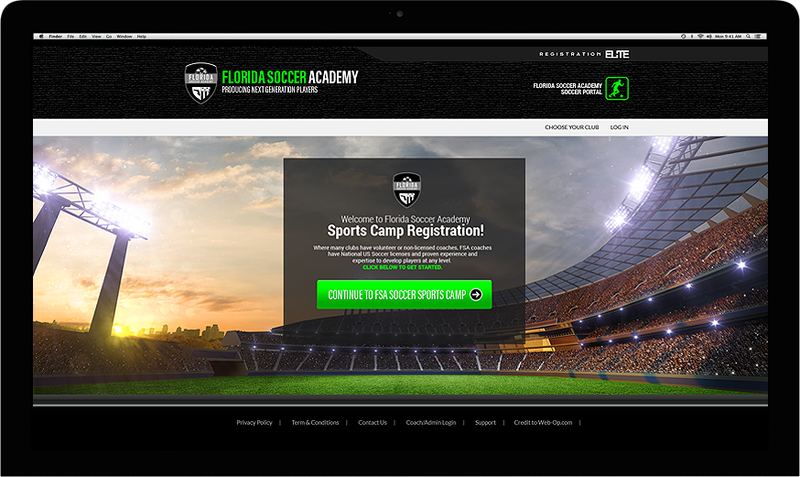 We do this by creating personalized online registration platforms that are specific to the unique needs of your youth camps and programs. Our system allows you to manage every aspect of your camp in one simple cloud-based solution that caters to any device you are using. It doesn't matter what kind of camp you run, whether it be sports camps, summer camps, art classes, day camps, educational camps, or any other type of camp. Registration Elite™ has the systems to decrease your expenses and increase your effectiveness. Optimize your registration and management process, so you have more time to focus on what's really important, a quality camp, club or program experience. See what our existing programs Are Saying. "Our camp registration looks amazing. Their staff is a pleasure to work with. Thanks guys." Registration Elite™ Most programs lack a powerful marketing arm behind their camps. This can have a negative effect on filling camps and restricts growth. With our platform, programs will have a unique advantage over the competition.